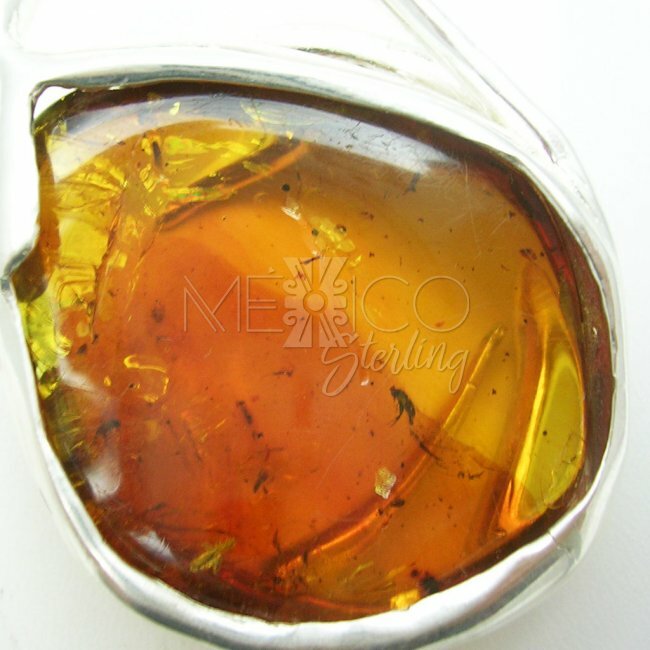 Silver Thunder Storm with Amber Pendant - $115.00 : Mexico Sterling Silver Jewelry, Proundly from Mexico to the world. 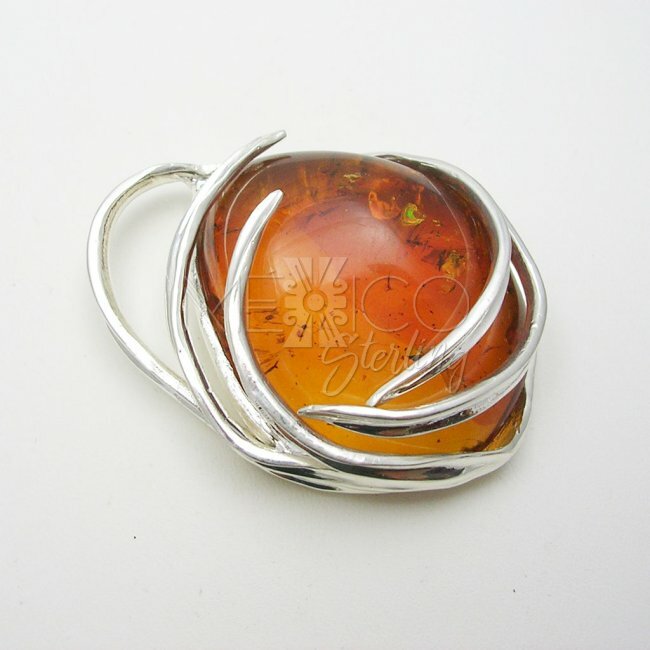 Dimensions: W: 1 3/4" L: 2 1/8"
This is a wonderful silver designed piece with a nice modernist look. 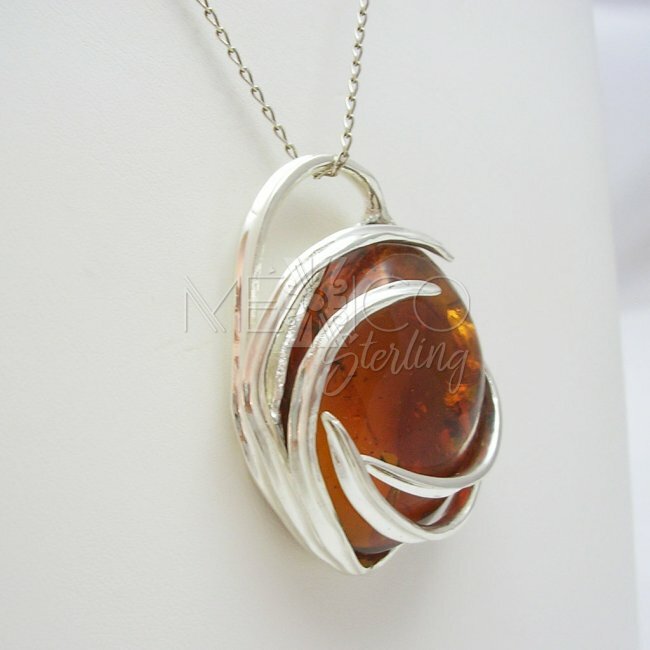 It was designed and crafted by Karima masters with excellent workmanship and beautifully finished. 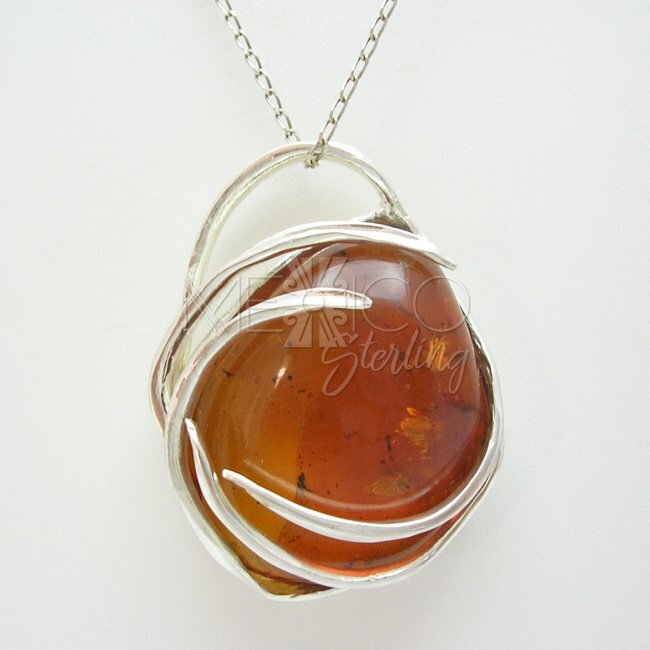 All the features on this piece are really interesting. 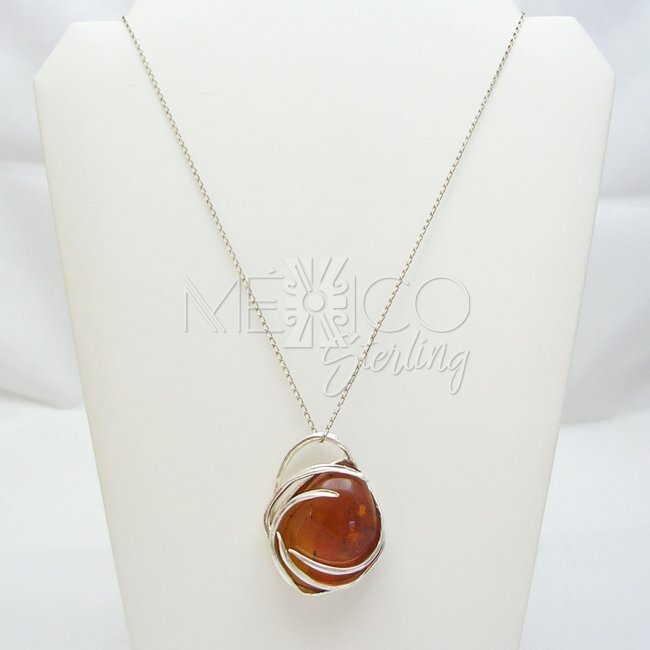 First, the composition on this pendant is really simple but expressive, I think it has a sense of nature's strength, that's why I call it "thunder storm". 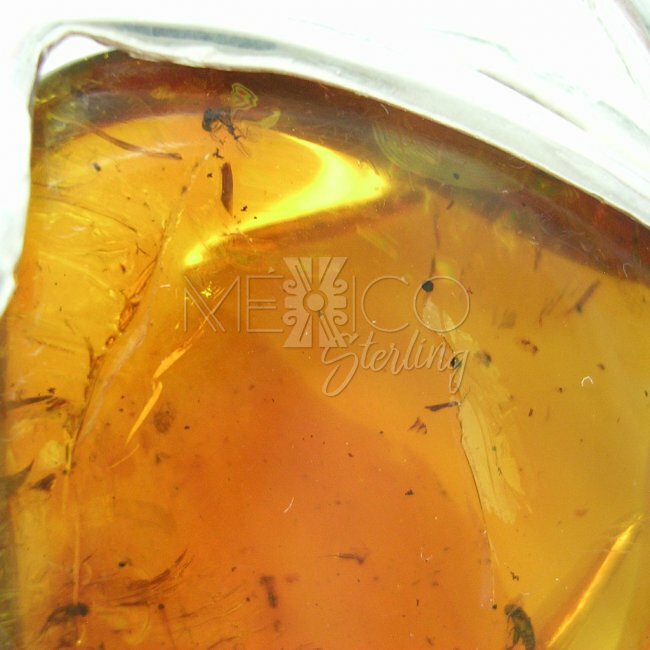 Second, we have the Mexican amber from Simojovel Chiapas, GORGEOUS! 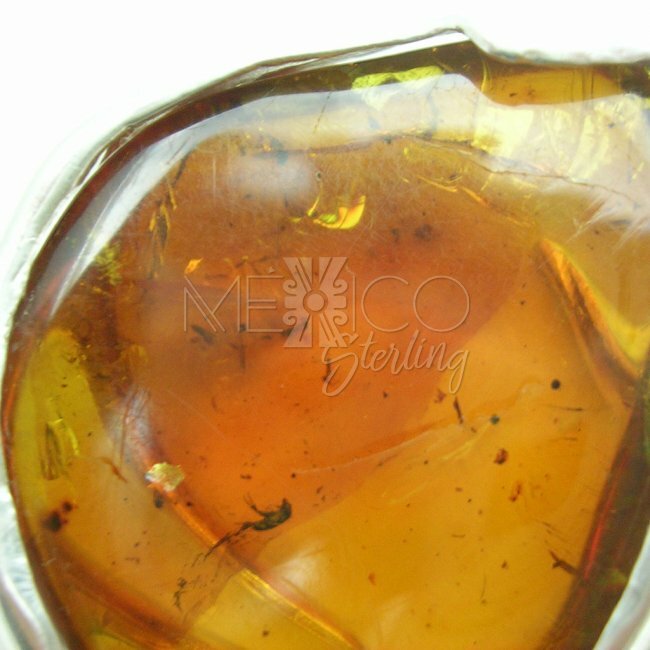 it carries the nice honey color and trapped inside, frozen in time, floating around, a couple insects and debris, that decorates the Amber in a very special way. 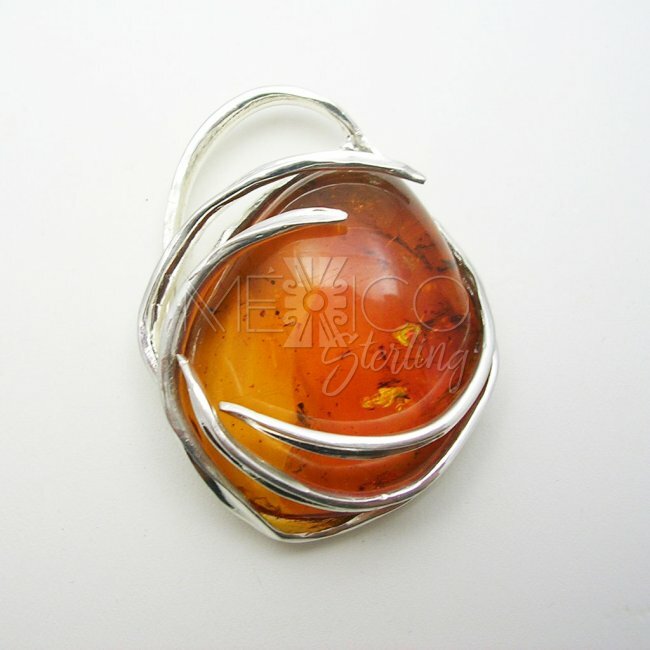 As you can see, the artisan-designer combined perfectly well 2 nature elements and through this creation, she is telling us a powerful story. 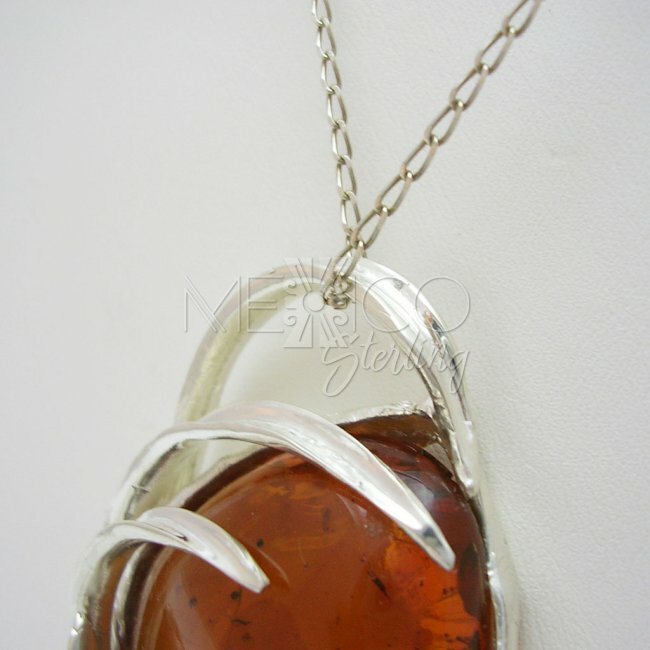 That's is why this is one of my favorite pieces. 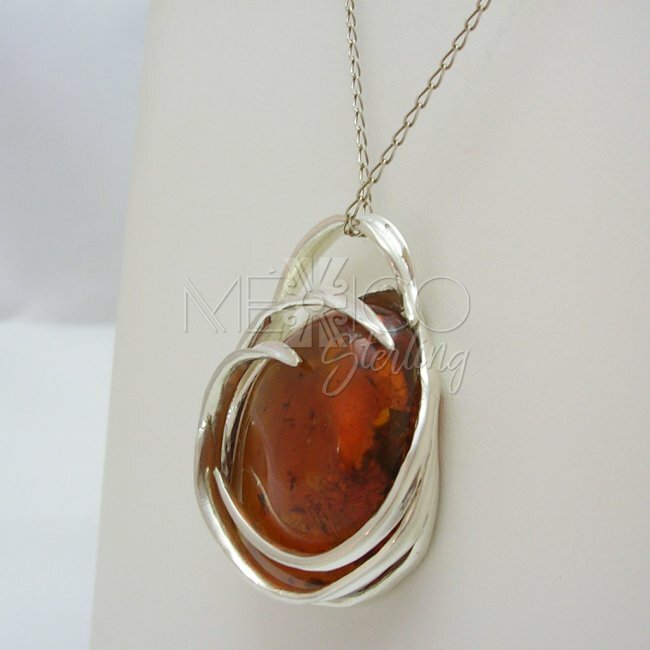 Take a minute to see the extra photos, for more details on this amazing piece of jewelry. Please remember that we have a layaway plan for your convenience. Learn more here.